The Tinnelly Law Group has secured a favorable settlement in a breach of contract case for one of our HOA clients located in Fullerton, California. The Defendant security company entered into a contract with the HOA to install an integrated entry gate system for several streets leading into and out of the community. 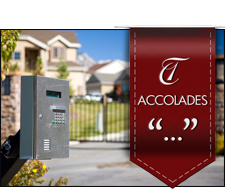 Shortly after the installation was completed, the HOA began experiencing severe mechanical problems with the gate operators and other aspects of the integrated gate entry system. When the Defendant refused to take the appropriate action to repair the system and ensure it’s permanent functionality, the HOA filed suit for breach of contract. The terms of the settlement required a judicial determination as to the prevailing party and the “reasonable” attorneys’ fees amount to be awarded with respect thereto. After arguing those issues via a motion for attorneys’ fees, the court declared our client the prevailing party and found that all of our client’s attorneys’ fees (nearly $200,000) were reasonable. Such 100% attorneys’ fees awards are incredibly rare. The Tinnelly Law Group strives to resolve its clients’ disputes through non-judicial means wherever possible. However, when issues do result in litigation, our clients take comfort in knowing that our attorneys provide the highest quality representation available and that our entire team remains committed to securing the best possible outcome.